It's pretty clear that Kylie Jenner has taken to motherhood like a duck to water since giving birth to little Stormi in February last year. And since then, she's kept followers up-to-date with her adventures as a mom on social media. 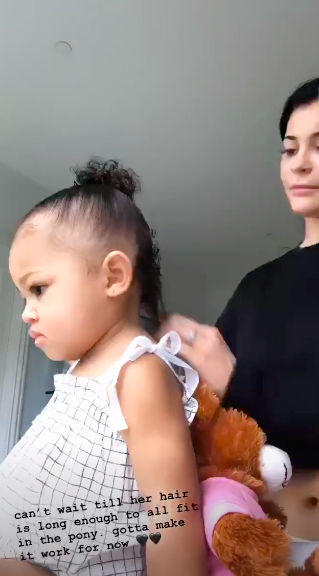 Well, over the weekend Kylie shared a new update — an adorable time-lapse video of herself doing Stormi's hair. She posted the video alongside the caption: "I love doing her hair. I’m not the best but I love learning. Some of my favourite memories are of my mom doing my hair." 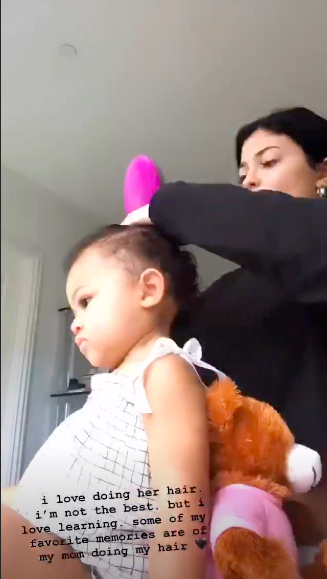 Many people took to Twitter and Instagram to praise Kylie for learning how to care for, maintain and style Stormi's hair since it's a very different process from doing her own. Some said they'd "applaud any non-black mother" who took the time and effort to learn how to do their black daughter's hair. And others said they wouldn't have expected Kylie to have taken the time to learn. Some praised her for "trying and learning" by error. 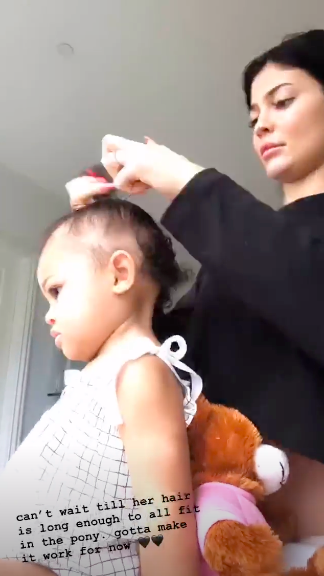 And others said the fact Kylie was "taking an interest" in how to care for Stormi's hair was heartwarming. Some even joked that she should give Kim Kardashian some tips. 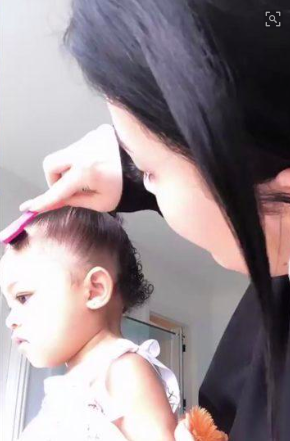 In fact, Kim's struggles with doing North's hair became an entire episode of Keeping Up With The Kardashians back in 2016, in which she visited an expert for lessons. And people were particularly impressed with how Kylie laid Stormi's edges.